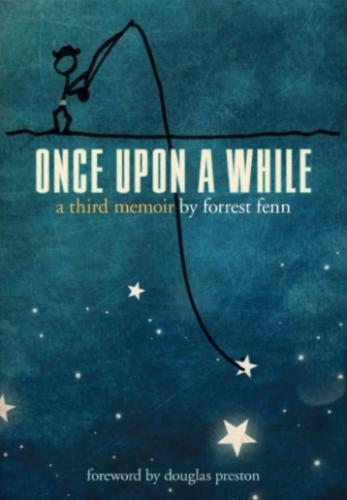 Forrest Fenn’s newest book, 'Once Upon A While,' completes his memoir trilogy. The first memoir 'The Thrill of the Chase,' published nearly eight years ago, has encouraged tens of thousands of individuals and families to search for a treasure hidden somewhere north of Santa Fe. His second memoir, 'Too Far to Walk,' published four years ago, has been a close rival in reader popularity. The new book colorfully showcases 39 mini-episodes in the life of a remarkable man, author and icon who never rests. Stories from jumping off a terrifying bridge as a teenager, riding a fast horse through mountain passes and nearly everything else in-between is bound in this beautifully produced volume. Photographs; graphics and many surprise illustrations from the author himself, as well as an honest and warm Foreword by friend and author Douglas Preston are included.